However, there was this one time when I was walking with my Grandpa and twin sister all the way to the back of the Garden which was something we’ve never done before because I had a project to do, and that was to make a small house with natural materials and I simply didn’t know how to do that. 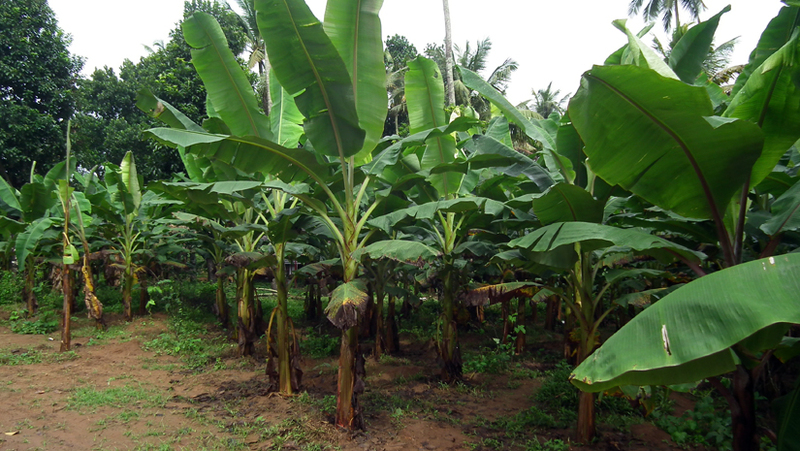 I told my Grandpa about this project and he said he’d help me make one using dried banana leaves that we could get at the back of the garden since we had banana trees growing at the back. So I ventured forth with my twin sister and my Grandpa to the back of the garden, and sure enough, there were a lot of good leaves we could use to build my small house out of natural materials as a project so he started to pick them up alongside with my twin. I wanted to help, and I had started to help out, but something caught my eye and I turned around and fled the scene. My Grandpa who thought I was right behind him felt like I had disappeared and my sister, turned around watching me run like a gazelle back to the entrance of the house. My Grandpa shouted at me and said “Nyasha! (That’s my African name). Where are you going?!!! Aren’t you going to help us?!!”. Seky screamed at me for leaving them there and asked me why I had just bolted away from them, abandoning them without telling them then and there that there were snakes in the midst of the banana leaves? This was my logical explanation for my actions: I told them that I ran away from the scene quickly because I was tempted and wanted to scream at such a high pitch at that moment, that I thought it would alert the snakes and we’d all be bitten, so… my logic was to run away as far enough as possible so that the snakes couldn’t be startled when I started to scream. Therefore, they would have a chance of getting away from them unharmed which was what ended up happening. See…wasn’t that logical??? My sister frowned at me in a pretty ticked-off expression and was not amused… LOL 😀 . She still thinks I ran to save myself only…but I thought I did the right thing, LOL 😉 . My Grandpa on the other hand could see the logic of what I had said, but was still amazed at how I was able to spot a swarm of baby snakes that had hatched (which are pretty lethal when they’re young) in such a dark part of the garden where it was hard to see, as we were all out there scavenging for good banana leaves to make my model house. So why am I telling this story? On the topic of Sin, I liken Sin to a Snake or Serpent. As Christians, we can choose to either run away from it, we can tread on it, or we can choose to be bitten by it if we are seduced by it. [ Humility Cures Worldliness ] Therefore submit to God. Resist the devil and he will flee from you. 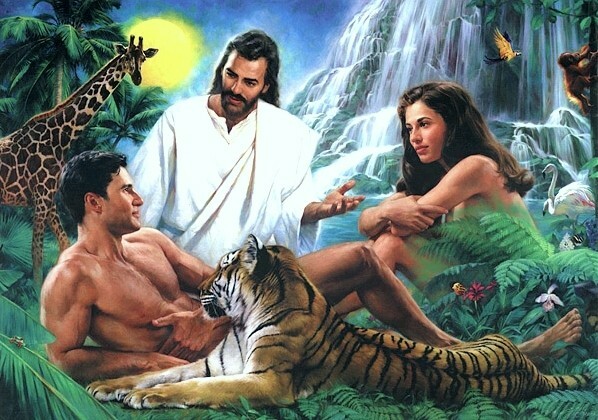 But did Adam and Eve do this? Nooooooooooo! And that is why we are all paying the price for their mistake. In the book of Genesis 3, it was the serpent that deceived Adam and Eve out of the Garden of Eden through temptation as its choice of deception. 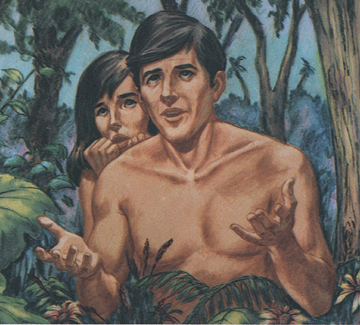 When the Lord called to Adam, Adam was embarrassed to be seen by the Lord because he now knew he was “naked” and hid from the Lord after he had eaten from the tree of knowledge. Adam places blame on God for the woman that He gave him as oppose to fessing up for his own mistakes. Man up ADAM! I think this was daringly bold of Adam to blame God for His own mistakes. He should have just been contrite and apologized, but instead, in his pride (Take Note that this is the first evidence of Pride entering into man through Adam’s words [confession] and his actions), he blamed God and didn’t take ownership of his sinful mistake. This whole “The Devil made me do it” argument just doesn’t act as a plausible justification for your actions EVE. As a consequence of Adam and Eve’s actions, the Lord was now pronouncing righteous judgment over this entire situation since none of the parties involved were forth-coming and repentant about their actions concerning the choices that they had made. If Adam and Eve had simply owned up to their mess, I doubt that this judgment would have passed, but they failed to do so and this judgment is still in effect to this day. In a way it seems like they were being cursed as the Lord was passing righteous judgment against them for their deeds; however, if you read the scriptures carefully, you will notice that the Lord was in fact redeeming the authority of Adam and Eve against the Serpent. Because of Eve, Women would now bear the pains of childbirth and they would forever desire their husbands and submit to them (Genesis 3:16). Had Eve initially submitted to Adam, this whole mess of being deceived by the Devil (who came in the form of a serpent) would have been avoided. Therefore, Women must submit to their husbands as was originally designed by the Lord. [ Marriage—Christ and the Church ] Wives, submit to your own husbands, as to the Lord. [ The Christian Home ] Wives, submit to your own husbands, as is fitting in the Lord. Because Adam heeded to his wife’s commands and disobeyed the Lord’s commandment as a consequence, Men would now have to work hard to feed themselves and their families (Genesis 3:17-18) until the day they die (Genesis 3:19). 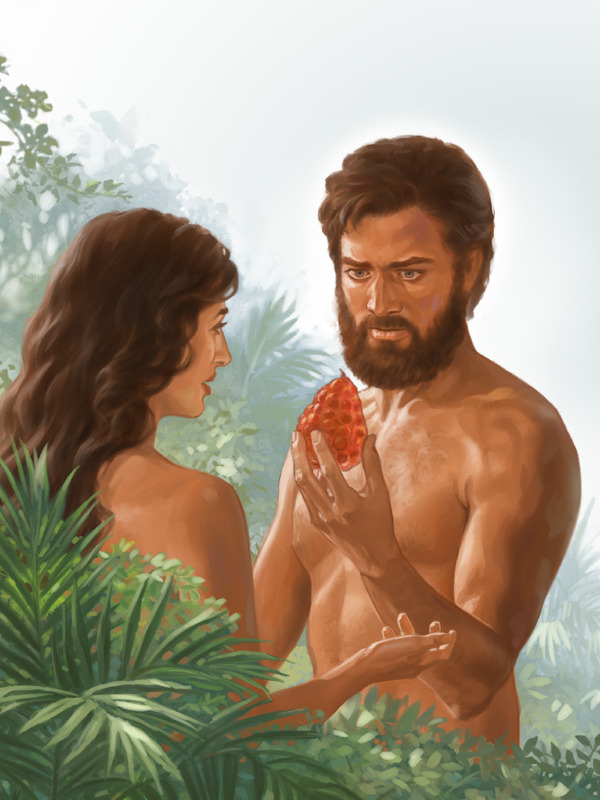 This could all have been avoided had Adam remained submissive to the Lord’s instruction initially and had Eve remained submissive to her husband’s leading. So people of God, when you think about the temptations that are out there to cause you to miss the mark (Sin), always remember that confessing your mistakes to the Lord can and will always redeem you to be in right-standing before God again. When you are contrite in spirit, the Lord shall not despise you because He really loves you. For thus says the High and Lofty One Who inhabits eternity, whose name is Holy: “I dwell in the high and holy place, With him who has a contrite and humble spirit, To revive the spirit of the humble, And to revive the heart of the contrite ones. For all those things My hand has made, And all those things exist,” Says the Lord. “But on this one will I look: On him who is poor and of a contrite spirit, And who trembles at My word. So today, come before God with a humble heart and confess your sins and past mistakes so that you can be in right-standing today. Give God praise, for He has given you authority over that which sought to deceive you from receiving the promises of God in your life. Satan no longer has power over you when you confess your sins before God. It is through your confession that we are redeemed. May we give God the highest praise for our redemption, Amen! It is always a choice for us to run, tread, rebuke or resist the devil.